Special workshops around the UK with leading directors, producers and other film industry professionals. Deals and giveaways to third party events, such as film previews and film festivals. Starting later this year, an online archive and community that will help teachers of any subject learn more about how they can use film clips and film-making techiques. If you are not a subscriber, don't worry. Subscribe today for just £45 for 51 weekly issues and you'll automatically gain membership to the TES Film Academy. Simply click here. What is the first event? The first event will be a special preview screening for teachers on March 26 of the new British comedy, The Boat that Rocked, followed by a masterclass with its producer, Hilary Bevan Jones. Ms Bevan Jones, a former teacher, will talk about her move from the classroom to film and TV production, a career switch which resulted in her producing episodes of several acclaimed series including State of Play, Red Dwarf and Cracker, and becoming the first woman to chair Bafta in 2006. 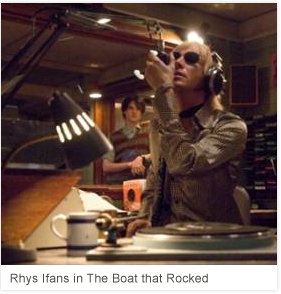 Set in 1966, The Boat that Rocked tells the story of a pirate radio station which battles against a government minister intent on shutting it down. Written and directed by Richard Curtis, its cast includes Philip Seymour Hoffman, Bill Nighy, Emma Thompson, Kenneth Branagh, Rhys Ifans and Nick Frost. The screening will be held at a venue in London’s West End on Thursday 26. Doors will open at 6pm, the film will start at 6.15pm and the masterclass will start immediately afterwards. To apply for tickets, email filmacademy@filmeducation.org, providing your TES subscription number and address, which will only be used to confirm you are a subscriber. A maximum of two tickets will be available per applicant. You can also obtain a free educational DVD-Rom about The Boat that Rocked, which was produced by Film Education with a special grant from Universal Studios. The DVD-resource and accompanying website are designed for teachers who are keen to learn about the film-making process and to teach the concepts of film and narrative to their students using up-to-date material. The DVD-Rom is available entirely free-of-chare to anyone in the UK for use in an educational context. Concept – explore where the idea for the film cam from and how the production company put the project together. Planning – examine the logistics of planning a complicated shoot and the development of costume and production designs. Filming – look at how a director approaches the challenges in a script and works with other departments. Editing – follow the choices involved in taking a scene from first assembly through to final edit. To make the project the possible, Working Title Films and Universal Studios have given Film Education unparalleled access to production materials, interviews with key department heads involved in the production and provided footage of a key scene at various stages of development. The Film Academy will have a full launch later this year, when a special website will go live providing an online archive and community that will help teachers of any subject learn more about how they can use film clips and film-making techiques. Keep checking The TES website and newspaper for more details of upcoming events and free resources. Remember - subscribe today to guarantee all the latest updates on the Film Academy, as well as enjoying access to all the latest news, best practice examples, case studies, subject specials and 1000s of the education jobs. Simply click here!